Nut trees tend to be undervalued as specimens for ornamental or even edible use, and yet the benefit that can be derived from growing a variety of nut trees cannot be overlooked. Nut trees lend themselves well to being Espaliered and will produce a fantastic crop of delicious and highly nutritious edibles. They bring early spring blossom magic and can be pruned to the desired size. And nuts are so versatile: they can be roasted and salted as snacks, choped and mixed into a million different baked goods, caramelised, candied, mixed with seeds and grains to make snack bars, ground to make nut-butters, sprinkled over desserts or savoury dishes, ground into flour, etc. For more specific nut variety information click below. Almonds (Prunus dulcis) The Almond is believed to have originated in the Mediterranean region which has hot dry summers and cool winters, which is what the tree likes in order to bear well. They need a well-drained, salt-free soil, and the young trees must be protected from frost. They are not self-fertile, so two varieties that flower at the same time are needed to produce a crop. Check out our Pollination Guide here. Whilst the almond is most often eaten on its own, raw or roasted, it is used in many dishes. It, along with other nuts, is often sprinkled over sundaes and other ice cream based dishes. It is also used in making baklava and nougat. There is also almond butter, a spread similar to peanut butter, popular with peanut allergy sufferers and for its less salty taste. The sweet almond oil is used in massage – mmm, just the thought of being smothered in sweet oil and pummeled….. Chestnut (Castanea sativa)Also originating in the Mediterranean region, the Sweet chestnut has been cultivated for its nuts since the dawn of time. It is a spreading tree, needs a lot of space and as it matures, the branches really thicken out. The trees are also prized for their fine timber and for their exquisite autumn foliage. Chestnuts like a cool climate and are easily grown in full sun or part shade in deep, fertile soil. They enjoy a slightly acid soil. Hot dry summers suit them well as long as ample soil moisture is available in winter and spring. The nuts can be eaten candied and are often sold under the French name marrons glacés, or boiled or – most delicious of all – roasted on an open flame. Another important use of chestnuts is that they can be ground into flour, which can then be used to prepare bread, cakes and pasta. Chestnut-based recipes and preparations are making a comeback in Italian cuisine, as part of the trend toward rediscovery of traditional dishes. Chile Nut (Gevuina avellana) This Chilean native nut tree is a beautiful evergreen specimen that grows into a large tree and produces erect spikes of spidery, white, cream or greenish flowers followed by slightly elongated small fruit – or nuts - that are bluish-black and taste similar to hazelnuts. This is quite a fussy specimen to grow, requiring a mild climate with cool, humid summers. Grow in a sheltered spot with deep, rich, well-drained soil that never dries out. Hazelnut (Corylus avellana) The Common Hazelnut is a deciduous tree that occurs on many continents and is fairly easy to grow provided that soil moisture is adequate and ample space is allowed. They need full sun or part shade and fertile, well-drained, chalky soil. Cooler, moist summers also assist in fruit production. Hazelnuts are extensively used in confectionery to make praline and also used in combination with chocolate for chocolate truffles and products such as Nutella. In Austria, and especially in Vienna, hazelnut paste is an important ingredient in the world famous tortes (such as Viennese Hazelnut torte) which are made there. Vodka-based Hazelnut liqueurs, such as Frangelico, are very popular – but beware – they are delicious and deceptively mask the alcohol content. Hazelnut is popular as a coffee flavoring, especially in the form of Hazelnut latte. Walnut (Juglans regia) The scientific name for Juglans is from the Latin jovis glans, "Jupiters acorn", and regia, "royal". Its common name, Persian walnut, indicates its origins in Persia although it is widely distributed around the world. Cool-climate trees, Walnuts prefer a sunny position. Although quite frost hardy, young plants and the new spring growth are susceptible to frost damage. Deep rich alluvial soil of a light loamy texture suits them best and they need regular water. The slow growing tree can reach 15m and spread to 9m so it does require a space of its own. The fallen leaves are toxic and should not be put on the compost. Walnuts are light-demanding species that benefit from protection from wind. They are also very hardy against drought.When grown for their nuts, care must be taken to select cultivars that are compatible for pollination purposes. Although some cultivars are marketed as "self fertile" they will generally fruit better with a different pollination partner. Walnuts are very beneficial to health as they contain properties that can reduce the damaging effects of unhealthy fats on blood vessels and keep cholesterol under control. Eat a handful after a fatty meal!The English put the nuts in vinegar and call them "pickled walnuts", the Armenians preserve them in sugar syrup and eat them whole, the Italians flavour their liqueurs with walnuts and, in Georgia, walnuts are ground, along with other ingredients, to make walnut sauce. And what do you do with your nuts? This almond is simply stunning in flower and blossoms for a long period. The large, soft shelled almonds are produced prolifically and ripen early. This Almond is self fertile and is a good pollinator for other varieties. Happiest in a sunny position away from harsh wind and frost. Deciduous. 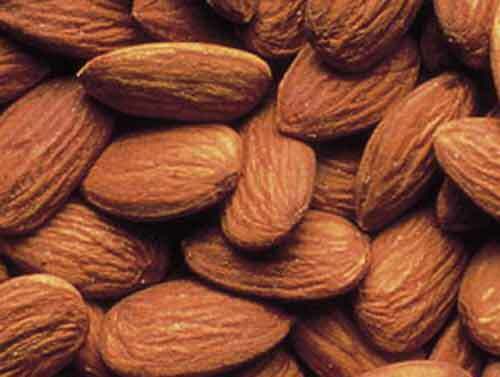 Almonds like well drained soil and will not tolerate a heavy wet soil in winter. Choose the right position and you'll be able to go nuts! Current Stock Height: 190/210 cm ? I guess the name says it all - a self fertile Almond that is highly recommended for home orchards. Produces heavy crops of soft-shell nuts with a sweet flavour. Suitable for Northern districts as requires less winter chill than other varieties. Plant in a sheltered position. Deciduous. Almonds blossom in late winter around about August and for this reason it is good to plant them in a sheltered position where the blossom won't get damaged by strong winds or heavy frost. A highly ornamental yet productive dwarf form of the edible almond. Beautiful soft pink spring blossoms followed by medium sized sweet nuts enclosed in soft, well-sealed, fuzzy shells. Self fertile form but would probably do better with a partner. Plant in a sunny sheltered spot. Deciduous. 'Garden Prince' is suitable for container growing. 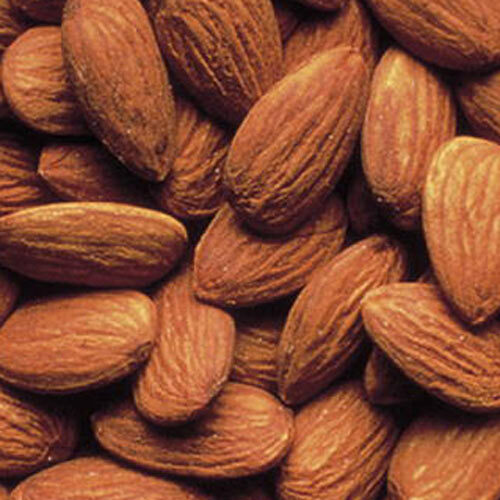 A top producing Almond that has large oval nuts that have a sweet flavour. The tree has a neat upright habit. Almonds do best in a sheltered position that protects the early spring blossom from cold wind and harsh frost. Partially Self fertile. Pollinate with Monovale. Deciduous. For those of you who want to 'grow' a little nuts this Almond is an excellent choice. Regular and reliable bearer of strongly flavored nuts. Good disease resistance and self fertile, a good pollinator for most other varieties. Happiest in a sunny position away from harsh winds. Deciduous. Current Stock Height: 280/310 ? Chestnut Nut trees have always been popular with the keen orchardist but you do need quite a bit of space for them. Medium to large, high quality, sweet nuts ripen about March and fall free of their prickly 'burr'. Very heavy crops on mature trees. Self pollinating. Deciduous. Worth a try. Grafted, fruit when 3-5 years old. Current Stock Height: 180/220 cm ? Hazelnuts are highly valued for their delicious taste plus the fact that they are high in protein and unsaturated fat. 'Alexandra' produces a medium sized nut of good flavour. Likes a cool climate, pollinate with 'White Heart' or 'Butler'. Deciduous. Harvest your Hazelnuts as they drop in February and March. Nuts should be dried thoroughly before storage. New stock arriving beginning of August, 2020. Pre-order now. Estimated price $59.99 each. Payment when stock arrives. Hazelnuts are highly valued for their delicious taste plus the fact that they are high in protein and unsaturated fat. 'Barcelona' is a vigorous grower that produces large nuts in great quantities. Pollinate with 'Merveille de Bolwillier' or Tonda de grifoni. Deciduous. 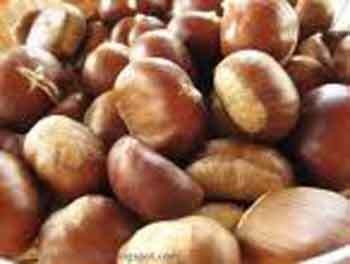 Harvest your Hazelnuts as they drop in February and March. Dry thoroughly prior to storage. 'Barcelona' is used extensively throughout the USA in the Hazelnut industry as it is such a top performer. Not only is this a great looking deciduous tree that is extremely hardy it will also provide you with delicious, nutritious Hazelnuts in January/February. The large round nuts are packed with Vitamin E and anti-oxidants. Pollinate with 'Alexandra' Deciduous. Hazelnuts are harvested when they fall naturally to the ground an should be dried thoroughly prior to storage. Current Stock Height: 60/90 cm ?